Lightweight stretch softshell designed for fast movement in the high mountains, X Alp Pant has Dynema reinforcement in the knees, seat, and inner bottom hem, yet the real story is fit. Earlier in the season we reviewed the X-Alp GTX shoe from French company Salomon, who are probably more known for their running and skiing kit that mountaineering and climbing. But they do have a full range of mountaineering clothing it seems very popular on the mainland and I’ve noticed more shops offering the range in the UK too. 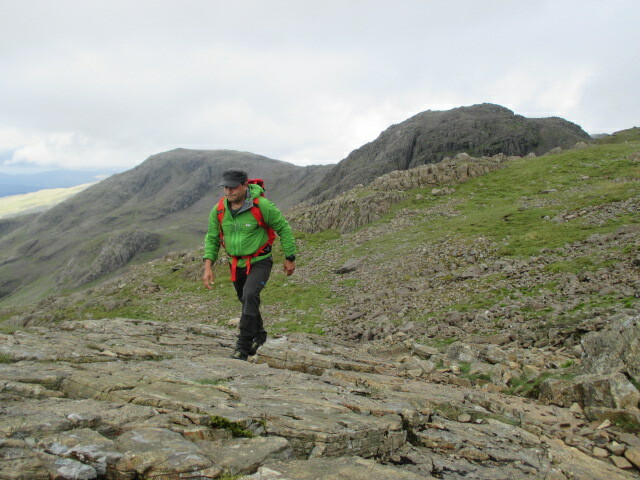 I have used the X Alp Pant for most of the season for recreational use as the pants felt too nice to use for work! I’ve used them for winter mountaineering, mountain hikes and rock climbing and I have found them exceptional! Really, this could be short review as the Salomon X Alp pants have been just about the best softshell pants I have used, the build quality and fit have been brilliant and there are very few features that I would change. The X Alp pants are made from a Schoeller type softshell fabric with a nice stretch feel to them but they aren’t overly stretchy in the main body; just enough give to offer flexible movement and all day comfort. They are very breathable and I have worn them on some very hot Alpine days this season without them feeling too cloying and clammy. There are no venting pockets so they do rely on the fabric to wick to keep you comfortable and I never really felt that they were too hot to wear. The reinforced leg hems did not really allow the pants to be rolled up but that wasn’t really a problem. Great freedom of movement and breathability meant the Salomon X Alp pants were ideal for fast moving sports. On top of that the seat, knees and crampon/hem patches were reinforced with a very stretchy fabric that was reinforced with Dyneema threads. This gave a pinstriped appearance which was a little disconcerting but I’ve got used to it. The stretch was very good both laterally and longtitudinally even with the Dyneema threading and they have added to the durability in these high wear areas. It is not a totally bombproof system and I have noticed a few minor threads on the seat but they really are minor and I have been bum sliding down some big snow slopes in them. The cut was excellent and there is no need to overly articulate the knees as the fabric was very stretchy in this area. In fact there are no knee cuts which adds to the style of the pants and the lack of overly technical cuts and pleats keeps the weight down. The reinforced Dyneema fabric was also used for the crampon patches and the hem. The hem and zipper were laminated to give a double thickness and added some stiffness to the material in these areas. The bottom leg zipper is also laminated and is gusseted to provide a little more flexibility with the boot options. 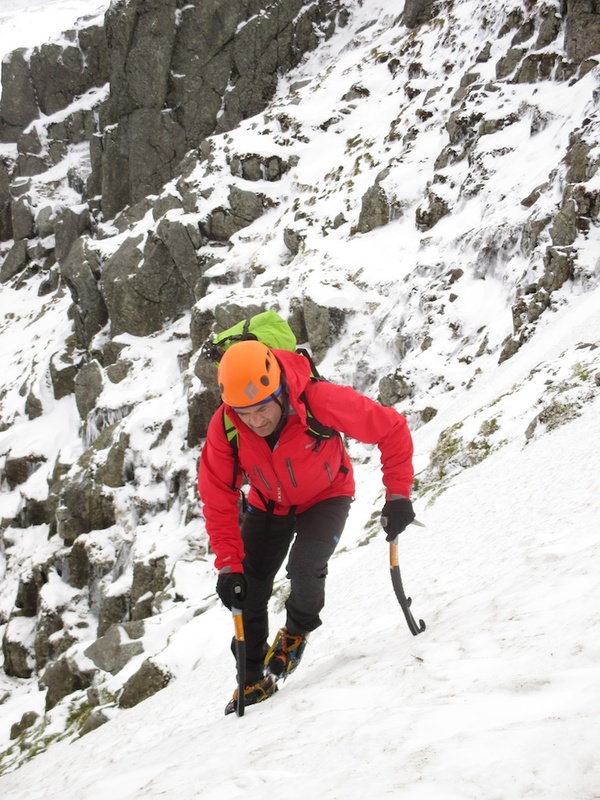 The style, when the leg zip is done up is a nicely tapered leg which worked great with crampons on. I never once caught my crampon points on the inside leg which, as you may know is infuriating when it happens. The only issue I had with the leg zippers is that the zip was too small and frequently got caught up at the top of the zip making it fiddly to find and pull down. There was also a neat, stainless steel lace hook to keep the pants in place when hiking in powder. The excellent, tapered leg meant they were great for crampon work. 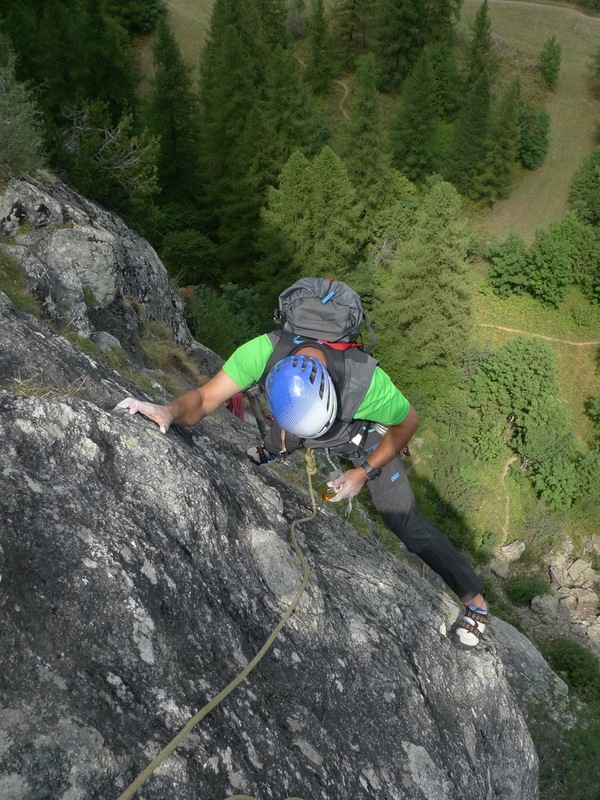 For rock climbing I experimented with two options in order to shorten the leg for footwork. I turned the hem up which didn’t work to well as the leg zipper lamination meant the hem pointed outward like a cup. The best way was to do the zipper up and tuck the hem inside the leg, this worked really well and gave better foot visibility when rock climbing. Again the stretch knee fabric was great for rock climbing in. Great on multi pitch rock. The waist is designed to fit under a harness and worked very well. It was contoured with no waist band and stayed perfectly in place when under a harness. It had a neat closure button that clipped then slid to lock the button in place so it never came undone – a very well thought out little feature. The wait also had taped seams on the inside to compliment the microfibre lining and make the waistband comfortable when wearing thin baselayers. There was also an integrated waistbelt that had a narrow buckle profile to fit under a harness, again this worked well and never came undone when moving (you’d be surprised how many belt buckles come undone when climbing). Refreshingly there are only two front pockets that secure with a zips, no side or rear pockets – I’m assuming Salomon asked themselves why you want to fill your pockets with stuff when you are moving and do you what – I agree. As long as I can stuff my hand in to warm them up or have enough room to put a scribbled topo or map of my route then that’s enough, everything else is either in a jacket pocket or my pack. So in conclusion the Salomon S-LAB X Alp Pant are a five star climbing and mountaineering pant. I have worn them all season (except for work as I consider them my ‘Sunday Best’ and have saved them for my own adventures) and have not been disappointed with any aspect. The fit is brilliant and although they appear simple in design a lot of thought and work has gone into making them my go to pants for fast moving mountain sports. The range comes in sizes 46 to 58 – 28″waist to 38″ waist and comes in Black. There is sadly no women’s version. None really – maybe a slightly larger zip tag for the leg zippers. Thanks for the review. I am happy with the 52 size of my simple Wayfarer (active fit) pant. Should I opt for the same size regarding the S-Lab X Alp pant? Thanks in advance. Yes, I have both sized Uk 34″ and both fit the same – the S-Lab X Alp pants are the best Alpine pant I’ve ever owned – Period! cCn you wear them without additional gaiters in winter with snow around your knees? I wear moine quite often for winter climbing. But there’s nothing that will keep out knee deep snow except proper gaiters dude! Happy climbing, Dave. Hi – if I am usually 34 inch waist which size should I go for in these? Thanks for replying. I’m still a little confused though – on amazon where I’m considering buy these from they are insizes like 56 or 58 and I’m struggling to find out what these sizes mean in terms of inches around the waist like 34 – I just wondered if your 34 inch waist pair have another size number on the label like 56 or 58?